Back when a new Mewtwo "form" was revealed, many people felt confused about what it was, especially since Nintendo was kind of coy about it. 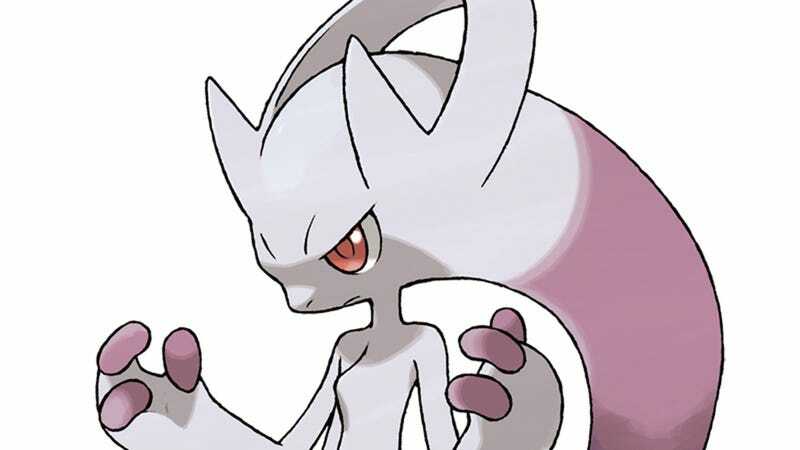 Turns out, the Pokemon games are getting a new type of evolution—and this new Mewtwo is one of the new Pokemon you can get from that type of evolution. Serebii reports that the new issue of Japanese magazine CoroCoro details "Mega" forms of a variety of existing Pokemon, such as Blaziken, Absol, Mewtwo, Lucario, and Ampharos. You evolve them into Mega forms via "Mega Evolution." So assuming the western release retains the names of the Japanese release, that Mewtwo is actually called Mega Mewtwo. As for how you, uh, Mega evolve? Serebii says there's a gym leader in X & Y who "holds the key" to understanding the new evolutions. There also seem to be "Mega stones," which might work in the same way other elemental stones in the games do. We'll probably find out more about this all as we get closer to release.